The Hoary-headed Grebe is a small stocky grebe. This grebe has a darkish grey and white plumage, an inconspicuous brown iris, a square black 'chin', and breeding adults develop a white streaking over their entire head (hence the name). There is a diagnositic narrow black streak down the nape of the neck. Juveniles have a striped face, white chin and throat, and a mottled brown and white hindneck. This species is also known as the Dabchick, Hoary-headed Dabchick and Tom Pudding. Sharing a similar size and build, when in non-breeding plumage, the Hoary-headed Grebe is often confused with the Australasian Grebe, but it can be distinguished by its dark crown that extends below the eye. It also has a greater tendency to fly off rather than dive when approached. The Hoary-headed Grebe is found in all states and territories of Australia. It is generally absent from the central arid regions of Australia. The Hoary-headed Grebe is usually found away from the shoreline in large open waters, which may be estuarine, brackish or freshwater. Movements of the Hoary-headed Grebe are poorly known, however the species is thought to occur wherever surface water persists after rain. The Hoary-headed Grebe feeds on aquatic arthropods, mostly caught by deep diving. This species feeds during the day, and when the light is poor, forages mostly at the water surface. 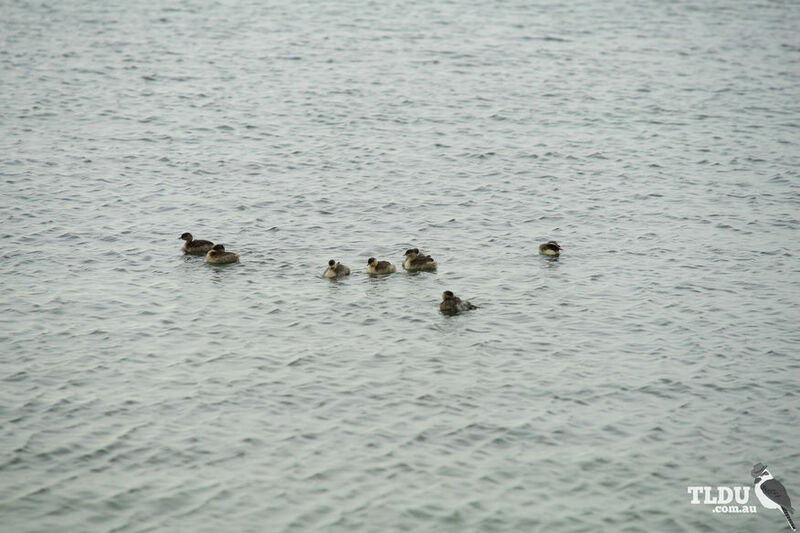 The Hoary-headed Grebe breeds in simple pairs in colonies. It constructs its nest well offshore in the shallows amongst floating waterweeds or scattered, open lignum, sedges, reeds or other saltmarsh vegetation, from waterweeds which are loosely attached to submergents, sedges or fallen branches. Both parents assist in incubation. 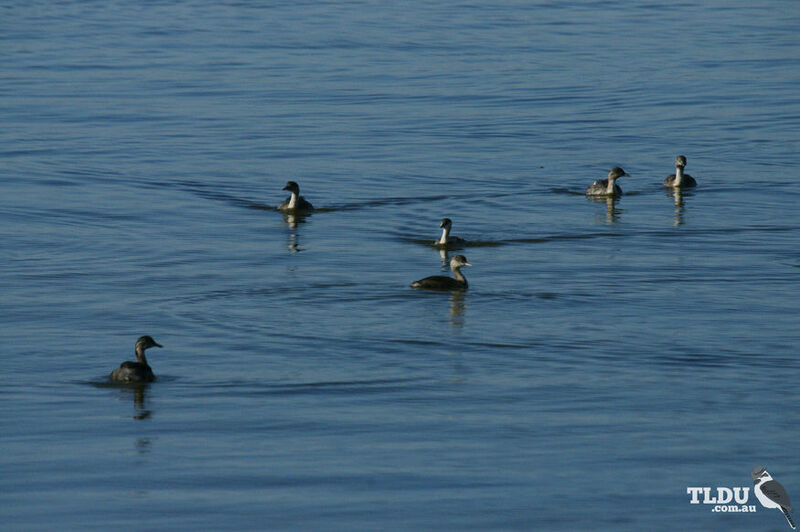 Within coastal areas, the Hoary-headed Grebe can be vulnerable to oil slicks. The artificial regulation of floodwaters may prevent breeding in some areas.